Califon, NJ felt the effects of hurricane Irene August 28-2011. A tree came down on a section of our customers Derby Fence perimeter fence, rails were twisted and the posts were a little bent, however, nothing broke. The home owner held a heat gun on the kinks and straightened the rails and post. The customer is using the same rails and posts today. Derby Fence’s durability was put to the test by Hurricane Irene and withstood all she could throw at it! Derby Fence is constructed from HDPE, making it the toughest, most weather resistant plastic fence in the market today. Derby Fence is able to withstand impact even at 60 degrees below zero and the colors won’t fade even in the intense sun in Florida. Our special rail button locking system holds securely for animal containment, but should a severe impact from say a tree limb happen to knock the rail out, you can just snap them back in. 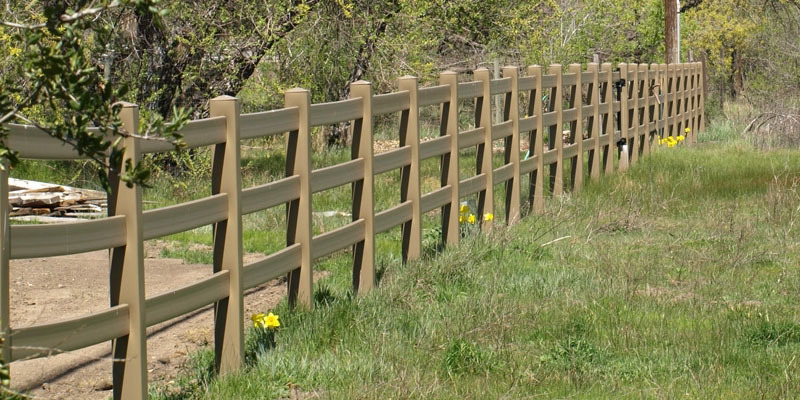 The strength, durability and safety of Derby Fence cannot be duplicated with PVC or wood. If you are looking for the finest equine fencing on the market today, then give Derby Fence a call for an immediate quotation.